Adolf Hitler was in a difficult situation but he also knew that Britain and France were unwilling to go to war. He also thought it unlikely that these two countries would be keen to join up with the Soviet Union, whose totalitarian system the western democracies hated more that Hitler's fascist dictatorship. 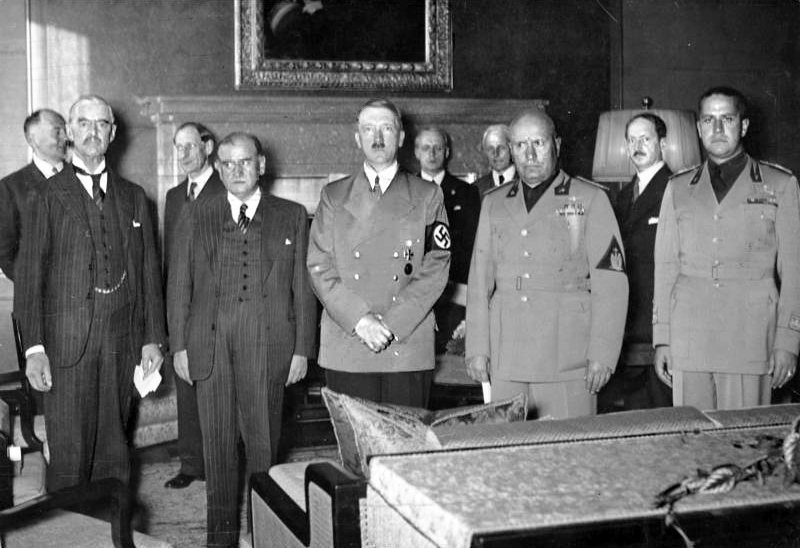 The meeting took place in Munich on 29th September, 1938. Desperate to avoid war, and anxious to avoid an alliance with Joseph Stalin and the Soviet Union, Neville Chamberlain and Edouard Daladier agreed that Germany could have the Sudetenland. In return, Hitler promised not to make any further territorial demands in Europe. On 29th September, 1938, Adolf Hitler, Neville Chamberlain, Edouard Daladier and Benito Mussolini signed the Munich Agreement which transferred the Sudetenland to Germany. The Munich Agreement was popular with most people in Britain because it appeared to have prevented a war with Germany. However, some politicians, including Winston Churchill and Anthony Eden, attacked the agreement. These critics pointed out that no only had the British government behaved dishonorably, but it had lost the support of Czech Army, one of the best in Europe. In March, 1939, the German Army seized the rest of Czechoslovakia. In taking this action Adolf Hitler had broken the Munich Agreement. The British prime minister, Neville Chamberlain, now realized that Hitler could not be trusted and his appeasement policy now came to an end.